Just picked up this bad boy. I’ve had my eyes on Norco’s Range and Sight models for a few years now, but they are pretty hard to find locally. eBay is also very sporadic and usually they are located in Canada, so shipping stateside is an issue. But I finally found one and the price was right so I took a chance on it. The NorCal rain has been terrible for riding this year; it’s literally been raining every weekend (I’m talking torrential downpours!) and the trails are just a muddy mess. In fact, I’ve only gotten in 3-half rides since last December! And each time I had to turn around because my tires were so muddy or trails were closed off. Unfortunately it had some issues: The Pike was super low on air pressure (~10psi), but was very difficult to compress. Pumped up to my normal 50psi, it was basically locked out! Then there was the Reverb. The remote button was completely loose, with no signs of resistance/actuation, and the post was stuck ‘up’. Luckily, a teardown of the Pike and a lowers service with new oil fixed the pressure problem. I think the previous owner botched a service attempt and managed to create some sort of imbalance in the upper and lower air chambers, when they should have self-balanced themselves. In any case, the Pike is working perfectly again. As for the Reverb, I took a chance on a bleed kit and it turns out that the previous owner botched a bleed attempt, leaving very little fluid in the line as well as a lot of air. In fact, the bleed screw on the remote was inserted upside down with the pointy end sticking out! After bleeding the line, the Reverb is back in action. This is my first frame with internal routing throughout, so swapping parts from the Carbine was a little painful. Luckily I’d seen some YouTube videos of how others route cables and used the existing cables to pull a length of string through the cable ports. I’m pretty sure that without existing cables to work with, routing the cables would make me cry. Another issue was that I had to get a new rear brake line because my existing one was a couple inches short for my liking. That meant a full bleed as well. On my first attempt the lever was waaay too stiff. Turns out I hadn’t pushed the pistons into the caliper body far/hard enough. And while the stock Pike RC had the same overall functionality of my Pike RCT3, I liked the overall condition of my RCT3’s, so I swapped the charger dampers and travel shafts between the two forks. 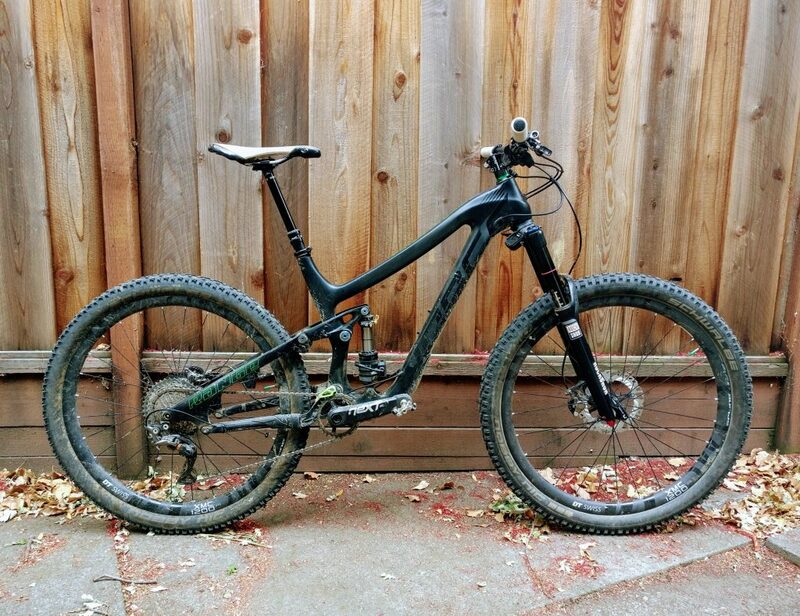 The Range is now ready to rumble at a relatively light (for an Enduro bike) 26.95lbs (without pedals). Since this posting, I’ve swapped the Monarch Plus with a CCDB Inline shock and put a Magic Mary 2.35 Evo up front, moving the Nic 2.35 to the rear. As you can see, I’ve also been tuning the bike with the help of the ShockWiz both front and rear. These things are game changers. 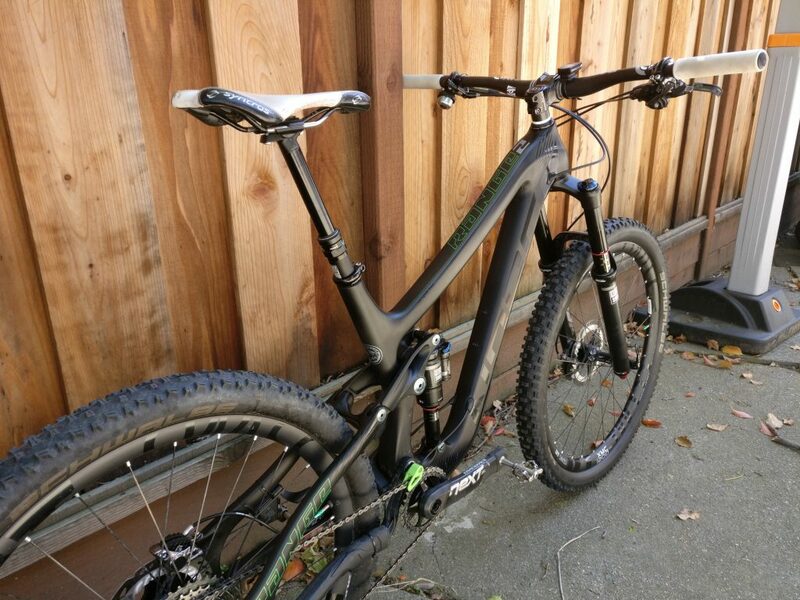 If you’re interested in renting some for your bike, check out my ShockWiz rental post! 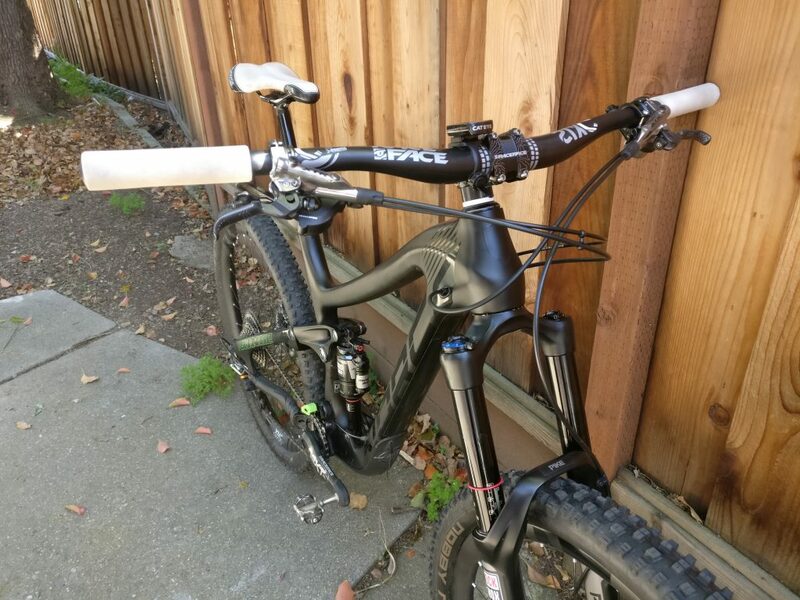 This entry was posted in Bikes on March 9, 2017 by bryanus.